In the world of musical performance and production it is absolutely critical to maintain a strong, flowing rhythm section that effectively carries the music. Percussion, in addition to bass, provide the most essential fundamental elements to the overall rhythm of a song. Therefore, top-of-the-line drum pads are heavily desired by a large proportion of musicians in order to maintain this much-needed flow. The Arturia Beatatep Pro is an affordable, yet highly innovative MIDI controller that is certain to take one’s production quality to the next level. Regardless, its features are relatively limited in accordance with its base price of $250 on average. This specific step sequencer must be connected via a USB cable in order to synchronize to the digital world. The advanced looping feature associated with it permits the production of complex digital drum beats that are sure to capture the attention of potential listeners. Roland Octapad MIDI percussion controllers have revolutionized electronic percussion to a new level in the past. However, the Roland Octapad SPD-30 takes digital production even further with its vastly expansive phrase libraries, improved pad triggering, accurate pad-sensing isolation, USB compatibility (which permits increased MIDI and memory storage), and eight kit chains with 99 preset drum kits that are designed to enhance and optimize live performances. Because of the substantial amount of highly-advanced features that accompany Roland’s Octapad SP-30, the price typically ranges from $600-$700. Regardless, it is a necessity for any serious, electronic-based percussionist that wishes to perform optimally. At the low cost of approximately $134, the Novation Launchpad S includes 64 essential drum pads in a single MIDI controller. This is beneficial for musicians looking to produce strong, diverse beats or drum patterns to accompany their mixes. This particular MIDI controller is 100% portable, lightweight, fully bus-powered, and has an app that makes it compatible with Apple products, such as the iPad. Although it is not particularly suited for live performance, it can provide all the tools necessary for musical production either in the studio or at home. At $100, the Akai MPD218 is sought after by musicians, programmers, producers, and DJs for its diverse range of capabilities in computer-based music/beat production. The control set of six knobs, distributed in three separate banks, permits increased control over the specifics of volume, pitch, and intonation of the desired notes or beats. The Akai MPD218 has proven beneficial for novice musicians looking to improve their skills, knowledge, and capabilities in musical production at an affordable price. This advanced MIDI percussion controller, heftily priced at nearly $1,000, comes complete with all the necessary features desired by percussionists, audio engineers, and DJs alike. The pads contain built-in velocity curves and extremely calibrated pad sensitivity levels that allow responsiveness upon the lightest touch. Similar to their previous designs, the controller has eight pad banks with 64-note polyphony and exquisitely-designed light features (yellow, orange, green, and red) that function to indicate velocity levels. Overall, the versatility, as well as the sleek and innovative design of the Akai MPC Studio sequencer, sets it off as an attractive choice for dedicated musicians and producers. The Alesis Performance Pad Pro is a high-end, eight-pad percussion sequencer/instrument characterized by its professional sound and controls, as well as its simplistic, yet eye-boggling design. It may also be noted for its sophisticated sound sets that comply with electric or acoustic drums, bass, sound effects, and studio effects such as reverb and compression. This device also has mounting capabilities for stands or racks, proving beneficial for performing musicians. It is also relatively affordable in relation to its vast range of features, costing no more than $200. The Vestax Pad-One drum machines comes complete with 12 pressure-sensitive, velocity-sensitive pads that have demonstrated themselves to be immediately responsive and accurate. Each pad is designed with LED colors corresponding to the respective banks to facilitate use by producers and musicians alike. This sequencer is noted for its reinforced durability and relatively light weight of two pounds. At a cost of, on average, $125, it is difficult to find a better alternative at such an astounding value. The technical design, sleek feel, and intensive control of the Korg PadKONTROL allows it to stand out in terms of expressiveness and versatility. This drum machine is often characterized for its organic, acoustic beat production quality that succeeds in emulating a live drum set. It may also be notable for its ability to assign MIDI messages to each of the 16 individual pads, resulting in the ability to map complex sequences among different devices, as well as singular drum kits. However, what really makes this sequencer unique is its built-in X-Y pad that permits the creation of more complex drum patterns and snare techniques (such as flams and rolls). Similar to most MIDI studio controllers, this sequencer has built-in LED lights that track one’s notes and facilitates the creation of unique, exciting beats. At approximately $600, the Yamaha DTX-MULTI 12 controller is recommended for experienced producers or programmers that require a wider range of functions for their personal musical projects. This device is unique in its 12-pad design, along with 1,277 voices, five trigger inputs, USB file playback functions, and kick or pedal inputs. 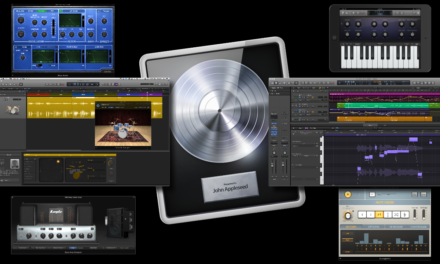 Its responsiveness makes it ideal for beat production using DAWs and acoustic kit enhancement alike. Furthermore, it comes with 42 common, built-in musical effects, including reverb, compression, EQ, chorus, and so on. Because of its wide versatility, incomparable responsiveness, and dependability, the Yamaha DTX-MULTI 12 percussion controller is highly sought after by musical enthusiasts and performers. This particular percussion sequencer is highly advanced and highly technical, resulting in its costly value of upwards of $1,000. Its unprecedented control, wide diversity of functions that permit mixing, arrangement, instrumentation, and musical effects, and its ultimate design make it the dream MIDI instrument for numerous producers. It is a high-performance sampler with incredibly quick responsiveness that facilitates the production of the most complex beats. With eight distinct display knobs, a precision-based jog wheel, an eight GB sound library, and vast storage of 8,627 unique samples, the Maschine Studio Groove is a must-have for the most dedicated MIDI musicians and producers.